NanoMod Hats rounds out the components of our ‘NanoMod Drumkit’ with some high-frequency fizz and clank. The eight source waves here range from typical analogue white-noise hisses through various more complex, metallic tones to a couple of low-bit-depth digital sounds – for when you want a more realistic hats track which still retains a bit of vintage flavour. Tweaking the Tone control can really add some sparkle, while the Grit Filter at its higher cutoff settings dials in attitude without killing the edge. 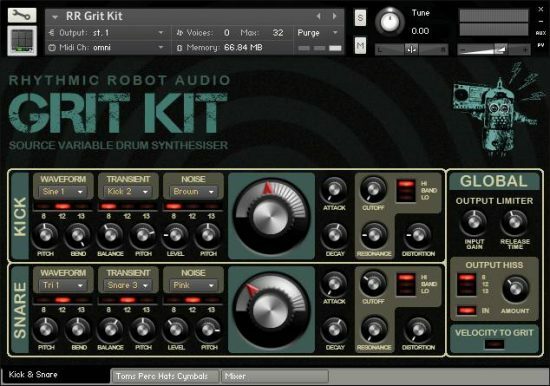 As always, hitting the Glitch button gives you an endless supply of new and inspiring (or just plain mad) variations to play with, from reversed cabasa-like tones to doom-laden gongs and tiny frenzied clinks. Get clicking! About the demos: Demo 1 runs through the eight basic hat waves in order, so you can hear the basic sounds at work. Then Demo 2 fires off eight instances of the Glitch button, giving you eight random variations – some good, some mad, which is part of the fun! So, you might overlook this thing, but actually it’s brilliant. Try out several different high hats with the same plug, quickly, easily, and easily modified. You have your kick, your snare, but what about hats? 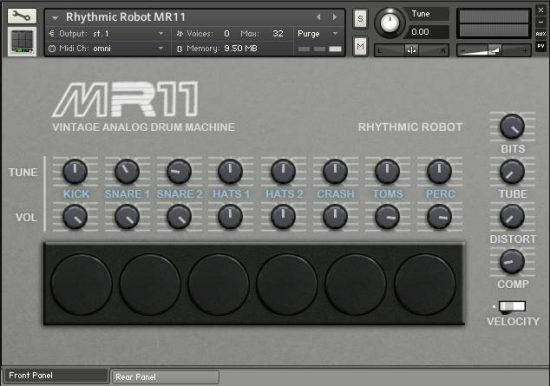 €6.00 plus VAT The Yamaha MR-10 analogue drum machine – reborn!